Welcome to Day 2 of my Sorority Love series. If you are just tuning in check out Day 1, it has a ton of tips on fashion and beauty. If you are a returner, thanks a million! Lets get started. 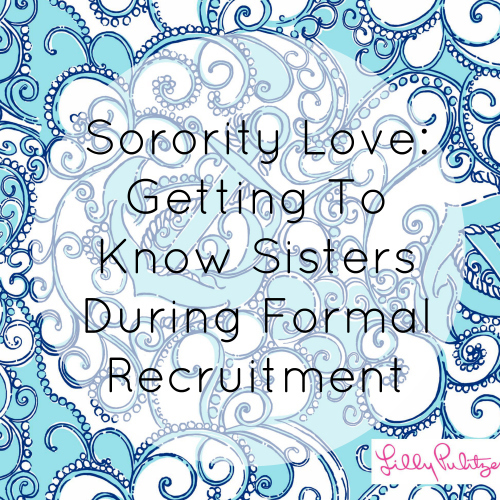 I will start with a lovely slideshow filled with amazing tips on getting to know sisters and choosing your sorority forever home. This is probably the hardest part about recruitment. There are guides on what you should wear, but not a lot of great guides on getting to know sisters. There is no perfect catch all guide for making friends and connections during recruitment.There is no guidebook, but we can tell you a couple of things on how to best get through recruitment with sisters you can be yourself around on the other side. Alyssa P.//Hannah E.//Kelsey B.//Madison M.//Courtney B.//Megan M.//Kathleen M.//Emily J.//Hailey S.//Alex B.//Sarah O.//Brittany H.//Lydia M.//Christina D.//Annaliese L-K.//Briana W.//Amber D.
It’s easy to fake an open mind and be none-the-wiser. If you can, try to come to recruitment with the most open mind you can. Even if you are a legacy, a prep, an athlete, a musician, whatever. Don’t feel the need to go to the place your group tends to flock. You are not destined to end up in a sorority just because you are a certain thing. When I went to recruitment I swore up and down that I had an open mind, but honestly I didn’t. I wanted Sigma from the jump and I didn’t try my absolute hardest to get to know other sorority women. Women in Sigma got me interested in going Greek in the first place, because before them I had never really even thought about Greek life.I wouldn’t have changed my mind, but I wish I’d gotten to know other ladies. As you are crossing sororities off your list day by day, don’t burn bridges! Sororities are a community, if you don’t like a house, you don’t have to be rude to the members in the house. Your dislike for a sorority should be silent. If you don’t like a house use your ranking list and rank them at the bottom. There is no reason to be rude, because recruitment will not be the last place you see those women. At my school we have a ton of Greek stuff like All-Greek Step Show and countless Greek pageants throughout the year. Not to mention the fact that you have classes with other Greeks and they are all over campus. You will see members of that sorority you were rude to again. Also by burning bridges during recruitment you are cutting out the fact that the sorority you are mean to might actually be a good choice for you. Always get to know every sorority that invites you back. Dropping out of recruitment after your favorite house drops you is a horrible idea. Dropping out in general is not a good idea actually. I promise you will find somewhere you belong in recruitment. If you take too much time getting upset over houses that drop you, you can’t fully appreciate the ones who invited you back. Take the time to get to know the sororities who invited you back, because obviously they see something in you and want to know more. Something about you intrigues them! There are plenty of reasons why a sorority might drop you–and it’s not always because they didn’t like you. In fact most of the time it’s just because they don’t know enough about you. When it comes to recruitment there are a lot of people and only so many spots for each house. There is usually enough room for everyone to join Greek life somewhere, just maybe not where you thought you’d belong. If you learn nothing else from this, do not take sites like GreekRank or Yik Yak seriously. Seriously you will always lose when you depend on sites like that for news about Greek life. Just like the general population of your university or a middle school sometimes people like to stir up trouble or write untrue (or maybe true but none of your business) type things on the internet about other people, sororities, fraternities, et cetera. Just because they do, it doesn’t mean it’s true. 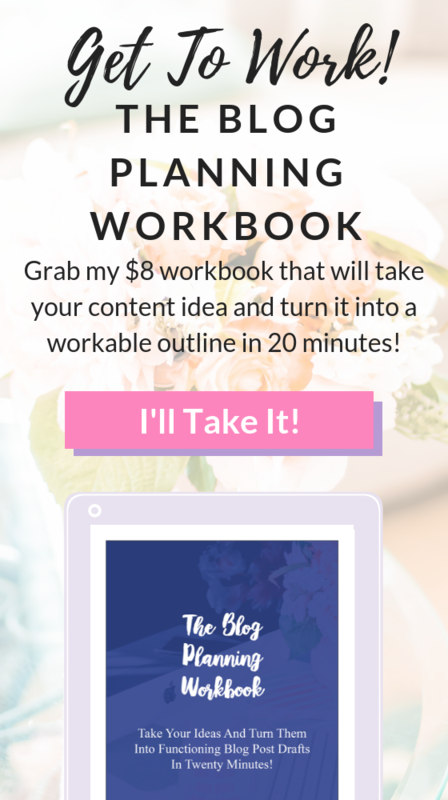 If you just have to take a look at those sites, do not trust them! Another reason I don’t like GreekRank–it’s usually other Greek people giving their opinions on fraternities or sororities they are not in. In sorority recruitment you can only speak for the sorority you are a part of, so why should it be any different on the internet? It would be hard to keep up with a fake personality for the rest of your life. If your personality changes over time, fine, but don’t fake it til you make it during recruitment. Yes, you want to present a great version of yourself, but never present a fake version. Be who you are and find sisters who love you for you. If you don’t like Lilly Pulitzer that is a-okay. You don’t have to quote Mean Girls religiously, or even have to like House Bunny. We don’t need clones in sorority life. 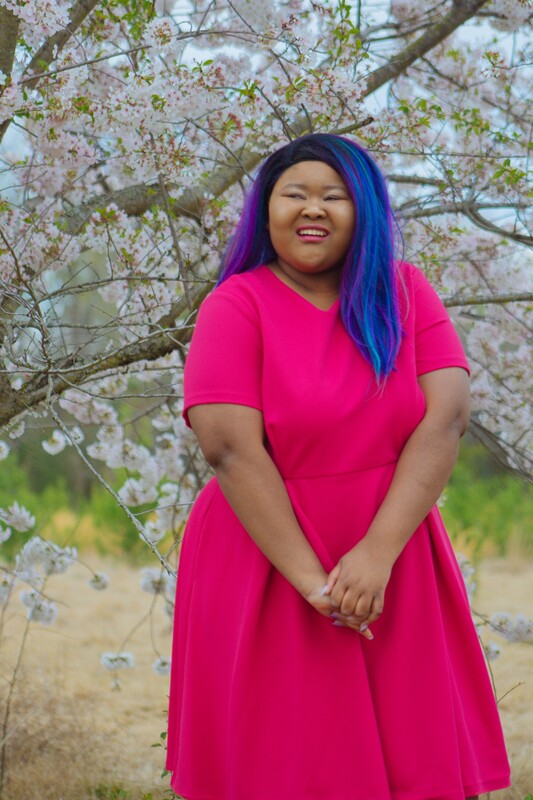 If done correctly sororities can introduce you to a wide array of people and really teach you what it’s like to work with a diverse group of ladies. Take advantage of that and don’t feel like you need to find glitter to be the best part of crafting or have a letter shirt obsession. Be you, everyone else is taken. I hope you loved these tips from me and all of these wonderful sorority women. Be sure to check in to the blog later today at 5 PM CST for a ton of cute sorority iPhone wallpapers a little lesson on Greek Unity. Also check out the blog tomorrow at 9 AM CST for another installment of this series.